We are here to help you answer any questions you may have pertaining to the field of Social Work. Please contact MSW Admissions Support Assistant Emily Sapp (esapp@sdsu.edu) to be coordinated with an alumnus. MSW, Pupil Personnel Services Credential SSW Faculty Worked at Consensus Organizing Center to manage Rise Up and other higher education programs. Serves as the lead organizer and has trained many in Consensus Organizing throughout the nation. Has over 10 years of grant writing and fund development experience. Became the third Executive Director in the Consensus Organizing Center’s history in 2015. Is a lecturer, Undergraduate Advisor, and Alumni Liaison in the 4chool of Social Work at SDSU. SSW Faculty Special projects and collaborations at SDSU School of Social Work. Served as Assistant Dean for Student Affairs in the College of Health & Human Services and was the Student Affairs Coordinator for the School of Social Work at SDSU. Held various administrative social work positions with the San Diego County Health and Human Services agency. 30 years of experience in public sector social work in both direct service and management positions. SSW Faculty 12+ years of professional social work experience conducting assessments, case management and informal counseling with San Diego’s diverse population of all ages. Seven years empowering young adults through formal and informal educational avenues in efforts to increase their personal growth. Five years in Child Welfare Services honing skills in connecting community services together to best meet client needs. Experience with program creation, development, implementation and evaluation. Strong team leader possessing a positive attitude and persistence, driven to help people be the best they can be and walk away believing they can overcome barriers and accomplish their dreams. Lifelong learner constantly seeking improved and more effective interventions and program implementations to reach San Diego’s diverse population. Currently the CEO & Co-Founder The Dojo Cafe, a for-profit community cafe in City Heights, with a vision to create community cafe’s for dialogue, growth, and self expression: reflecting and highlighting the resident’s diverse backgrounds, skills, and interest in underserved communities. MSW, Advanced Standing Program, Administration Specialization with Advanced Certificate in Social Work Administration BSW and MSW from SDSU, minor in Gerontology. Officer for the SDSU Social Work Alumni chapter and representative on School’s Advisory Board. Was President of the Social Action Committee while in school; served twice as a leader at Legislative Lobby Days. Interned at County of San Diego, Aging and Independence Services as Intergenerational Coordinator and in a skilled nursing facility as a Social Service Worker. Hired post-grad as a Geriatric Mental Health Training Coordinator at the Academy for Professional Excellence. Currently the Program Coordinator for the San Diego/ Imperial Geriatric Education Center and its Geriatric Master of Social Work Stipend Program for MSW students interested in working with older adults. Field instructor at the Academy. Active member of local Network for Social Work Management chapter; serves as Co-Coordinator for their Mentoring Program. MSW, Advanced Standing Program, Administration Specialization Interned at Kaiser Permanente Psychiatry and Addiction as an Admin Intern. Previous experience is primarily in youth and adult homeless shelters/ temporary housing facilities. Case Manager at Saint Madeleine Sophie Center (vocational program for adults with developmental disabilities). MSW, Advanced Standing Program, Direct Practice Specialization Interned at CRF’s South Bay Guidance Wellness and Recovery Center. Worked with clients with serious and persistent mental illnesses. Provided individual therapy and managed an illness management and recovery (IMR) group. Used multiple evidence based practices, practiced crisis intervention and consistently assessed for safety. Would recommend GSWA.  MSW, Advanced Standing Program, Administration Specialization Received BSW and MSW from SDSU. Began working at the Social Policy Institute after graduation (a project of the SDSU SSW), as a Regional Training Coordinator for the In-Home Supportive Services (IHSS) Training Academy and now works as the Assistant Program Manager. Supported local social services agencies in research, curriculum development, and training and event coordination prior to joining the SPI team. Juvenile Diversion, Alternatives to Detention, and Teen Pregnancy Prevention programs. Juvenile Justice and Community Development. 2012 Graduate MSW, EC-TEaMH District Social Worker at Chula Vista Elementary Schools. Oversees eleven schools and all of the preschools in the district. MSW Advanced Standing Program, Direct Practice, PPS Credential Placed at an elementary school in Lemon Grove School District for MSW practicum. Secondary placement was with Mending Matters at a high school in Grossmont Union High School District. Enjoyed time in the Advanced Standing Program and looks forward to answering any questions. MSW Advanced Standing Program, Direct Practice, MHTP/IBH Stipend Placed for practicum at Telecare Gateway to Recovery ACT working with adults diagnosed with severe mental illness. Plans to continue to work with this population upon return from Uganda. MHTP/IBH stipend training program narrowed field of study to mental health/severe mental illness.Took the DSM-5 and Severe Mental Illness courses which complemented and reinforced what was needed to learn at placement/Telecare.